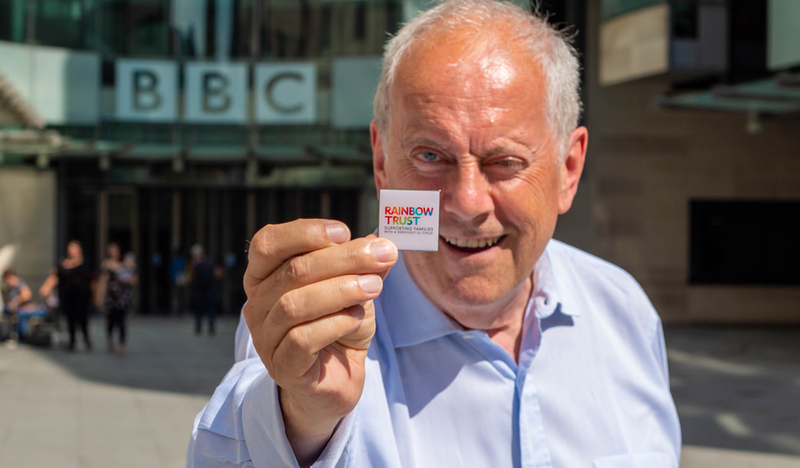 Turn on your radio and listen to BBC Radio 4 on Sunday 30 September to hear Gyles Brandreth presenting our exciting charity appeal. We are delighted to have been selected to benefit from BBC Radio 4’s Charity Appeal, which reaches just under 2 million listeners each week. The well known writer, presenter and former MP, Gyles Brandreth, will be presenting the appeal for us. Gyles knows all too well the positive impact of Rainbow Trust as his family have benefited from our support after his grandson was diagnosed with an aggressive cancer when he was just 18 months old. In the appeal Gyles talks openly about his personal connection to Rainbow Trust. He also shares the story of another family we have helped, whose mother had to live in hospital for five months with Dominic, her 10-week-old son, while he underwent intensive cancer treatment. Meanwhile her husband was left trying to cope at home, looking after their five-year-old son, who didn’t understand what was happening. Gyles will ask listeners to make a donation to help us continue supporting families at the very toughest time. If you would like to make a donation, you can do so via the BBC Radio 4 Charity Appeal page from the time of the first broadcast, or directly through our website.